That's a template literal using back ticks. I have the styled-components plugin active but am using emotion, which is basically the same. PS: There are no warning messages on the right side of the screen, just the annoying green highlight. 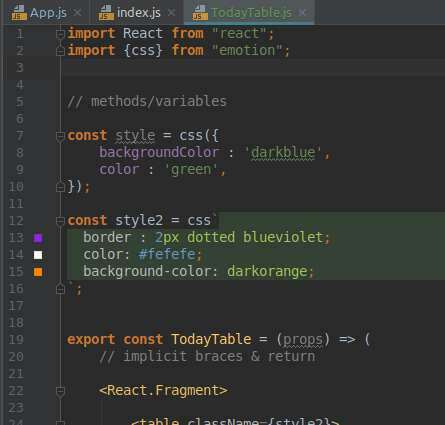 It indicates that another language (CSS in your case) is injected into that variable (so it allows syntax coloring and provide code completion). The green background color can be changed at "Settings/Preferences | Editor | Color Scheme | General | Code | Injected language fragment"